With the Game Developers Conference (GDC) just a month away, we’re going to take a look at one of the potential hit at last year’s GDC – Pylon. 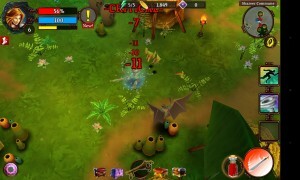 This Android game is developed by indie game developer QuantumSquid and published by Mango Publishing – the same team that brought us They Need to be Fed and Fractal Combat X. Pylon is interesting because of its Diablo-esque hack-and-slash type of gameplay and I must say this Diablo-inspired action RPG is more than just a clone. 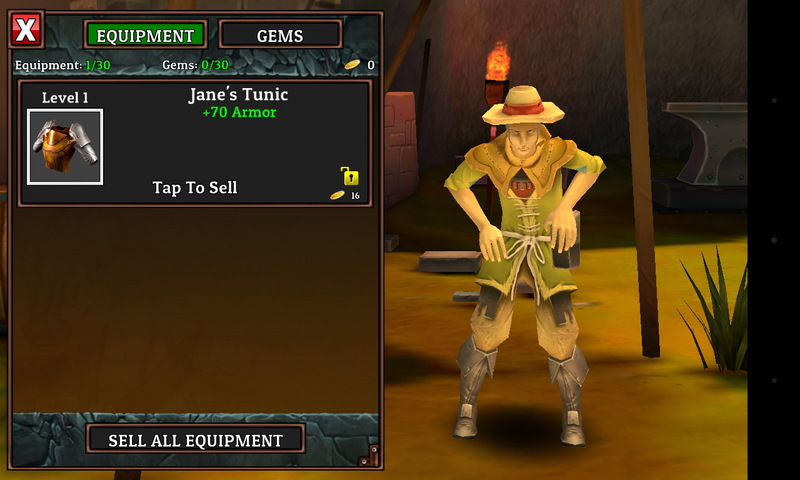 In this story-driven fantasy adventure, you start out as a female mercenary named Jane, the lone character, where you have to follow the orders of Neznarf, an elderly scholar. Your journey originates in a parish with a small community of peasants and craft workers. It may seem like an ordinary place but when you found out that there are stone pillars – or pylons as they call it – scattered around, you become worried as it opens doors for monsters to travel from mysterious lands to your local village. 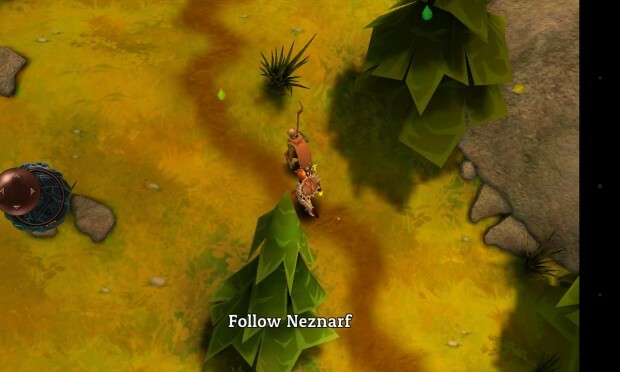 Neznarf mentioned that your ultimate goal is to recover an artifact to prevent this worst case scenario from happening. For you to advance, you will be given quests to carry out. 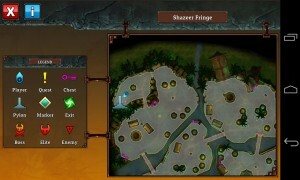 You need to find more pylons to move on to the next levels with stronger fiends to face. 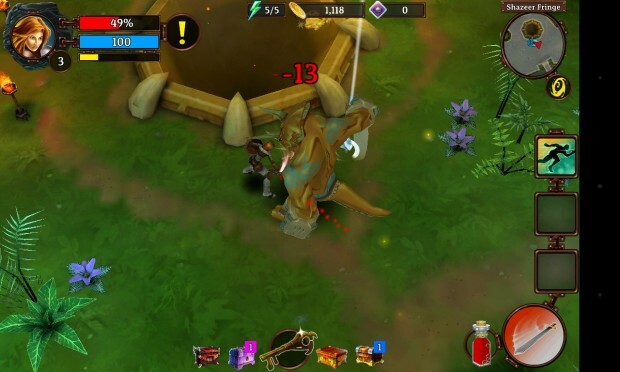 Equip yourself with weapons and armors to face the monsters readily in real-time combat. 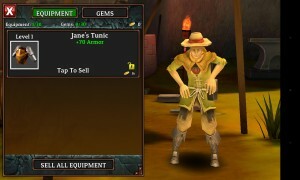 Wield a variety of items and take advantage of its strengths. Some weapons require two-hands for you to use; it inflicts more damage but makes you slower. What will you sacrifice? Carry a shield for defense or keep a mace to smash your opponents. Aside from that, you can stock up on gems with a variety of enhancements and bonuses. 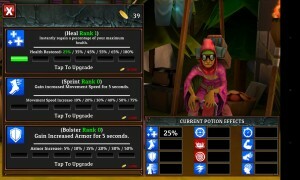 As you progress, make sure to upgrade your inventory of stuff and gear up your character with the best possible items. Sell those which you will not use as you can only carry up to 30 items at once. The game’s control scheme is responsive. Use your left thumb on any part of the screen to move your character via virtual joystick and use your right thumb to press the other buttons which are located on the lower right side of the display to attack, perform special moves and to heal yourself (its potion system regenerates on combat). I’m not a big fan, however, of the button layout. If you have a bigger thumb, the attack and the heal buttons are placed too close to my liking. When you encounter a lot of enemies, and you’re mashing the attack button, you might accidentally hit the heal button as well. This can frustrate you especially when you still have full health. 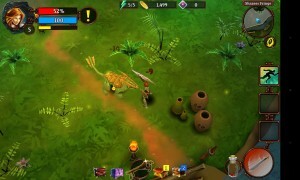 What you will like, however, is the game’s presentation. 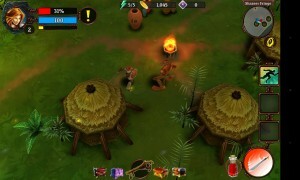 Visually, the beautiful 3D environments are sized just right, filled with enough monsters, and chests are full of loots. Character models are nice to look at, and I didn’t get tired listening to the soundtrack and sound effects. Another nifty feature is the abilities. 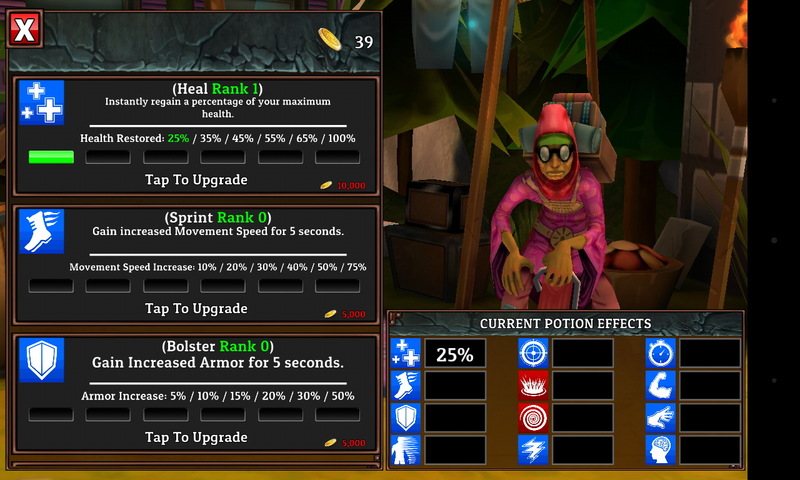 You can learn new skills when you level up, and you can assign up to three passive and three active abilities simultaneously. One of the abilities lets you charge into your opponent while another gives you the power to form as a whirlwind. There are other stronger abilities you can unlock as you gain more experience. Anyway, the kicker is that you can use your power-ups for a short time, and you need to recharge the ability by waiting for a while to regenerate. Just like other RPGs, you can earn more experience and learn new abilities by simply killing monsters. Character progression will depend on you. Though there’s only one character option, you can switch between three different classes (warrior, rogue, or mage) or make a fusion and customize your skills and abilities to your preference. 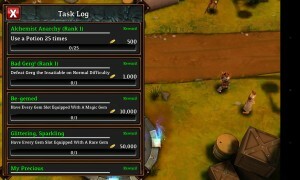 Your inventory is a vital part of this game. As I’ve experienced, the loot you collect like weapons, armors, and other small stuff will definitely come in handy to advance. Some pieces are rare, and some offer some kind of boosts. The only negative thing I see is that you may probably spend some grinding to get those good items. 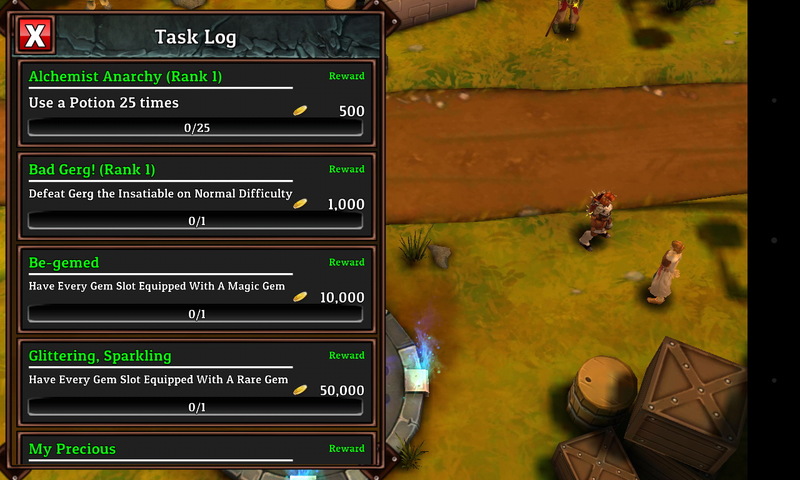 Also, Pylon has a couple of in-game currencies: gold and royal coins. 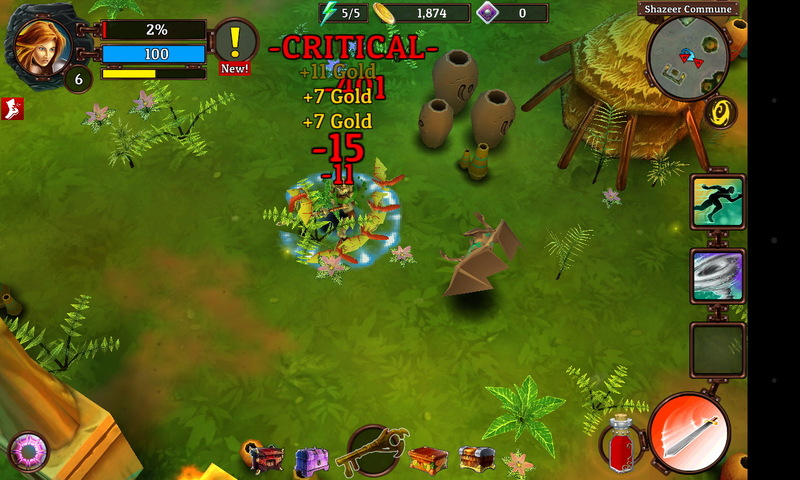 Gold coins are used to upgrade your items, and re-forge your weapons, armor or gems. Meanwhile, royal coins can be utilized to let you continue after death, and you can purchase exclusive items with it. You can avail of gold coins in-game by collecting loot whereas the royal coins can be had via in-app purchase. 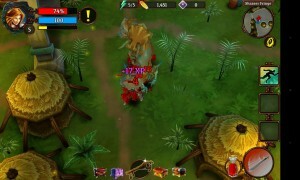 All in all, Pylon provides a lot of adventure, an action-packed gameplay, various types of enemies and an awesome environment. Replay value is high as you will be able to invest several hours of gameplay. 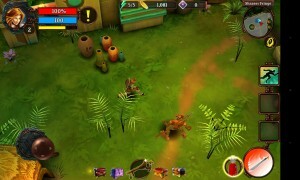 This Android game may be likened to Diablo, and I wouldn’t mind. It’s not perfect though I see plenty of potential here. Cool smooth gameplay, nice loot pool, with interesting practice dummy to tryout all the combos. 5 stars! 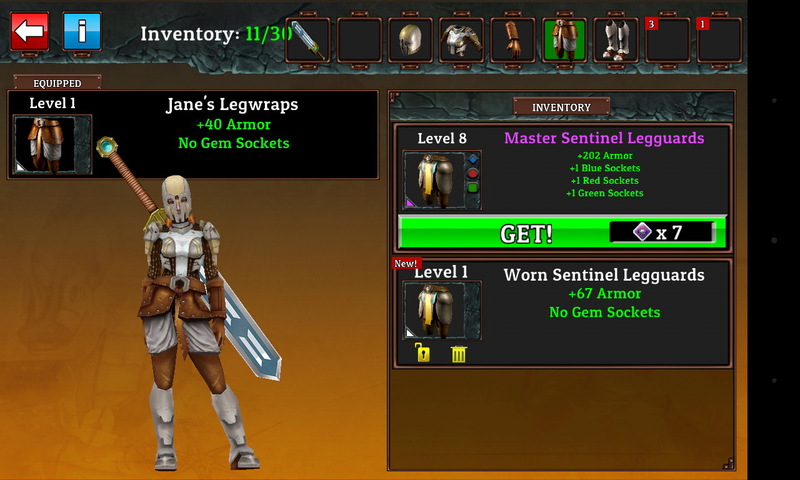 Pylon is a top quality hack&slash/rpg game with small issues such as lag from time to time.